This Sunday, March 8, is International Women’s Day, and Girl Scouts around the world are ready to celebrate! Commemorated every year since its inception in 1911, International Women’s Day is a global opportunity to observe the economic, political, and social achievements of women who have done amazing things in the past and present, as well as those who will make their mark in tomorrow’s world. Additionally, this special day commemorates the work of suffragettes, who fought for women’s right to vote, and reminds us of all the work yet to be done to achieve full equality for women across the globe. It’s no secret that girls and women everywhere still face barriers to equal opportunities, equal pay, and equal right to self-determination. And as we all know, one vital aspect of gender equality is the need for equal access to education. That’s why this year, in celebration of this critical day for women and girls and all of those who benefit when women and girls thrive (that’s everyone! 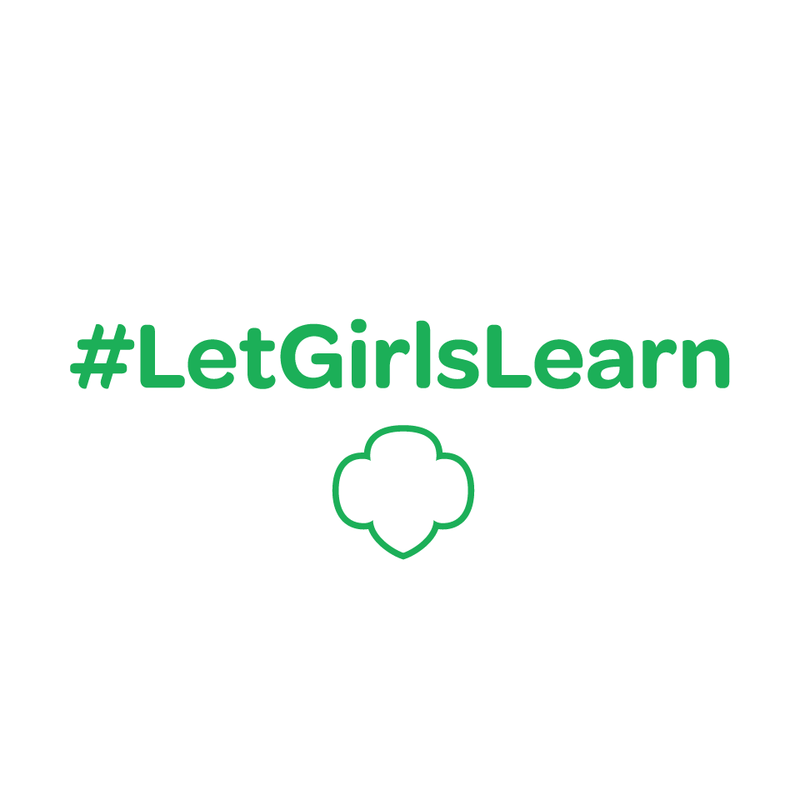 ), Girl Scouts is committing to the cause of increasing access to education for girls everywhere. Our momentum around this critical initiative hit a high this week as our very own Anna Maria Chávez, CEO of Girl Scouts of the USA, and Kathy Hannan, GSUSA’s national president, along with several of the incredible Girl Scouts we serve, were invited to represent the Girl Scout Movement at the White House alongside President Obama and First Lady Michelle Obama. Together, we announced a groundbreaking new initiative in partnership with the Peace Corps. Let Girls Learn supports the advancement of girls’ access to education worldwide, and is an important step toward lessening the inequality gap for women. Advocating for girls is what we do, and it is our deepest hope that we can continue to provide girls with opportunities to lead, to challenge social norms, to blossom in ways they never imagined, and to take a place at the table when it comes to challenging and changing the many inequalities that still exist for girls and women everywhere. Today, tomorrow, and always, remember that you matter, and you can be the difference! Happy International Women’s Day to women and girls everywhere!